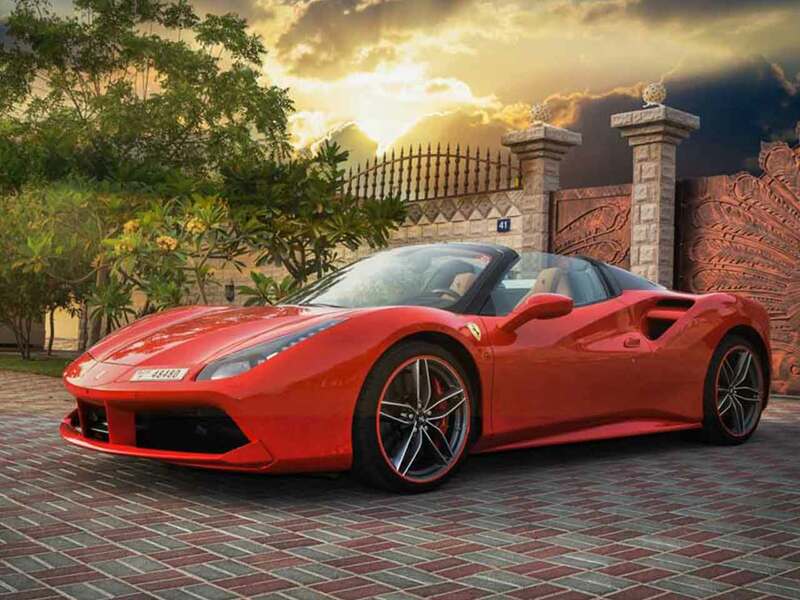 The Ferrari 458 Spider is a folding-hardtop convertible that offers an open-air experience for those who prefer the warm Dubai wind in their face. The spider is mechanically identical in most respects to the Italia, with a 4.5-liter direct-injection V8 that shifts through a seven-speed dual-clutch automated-manual transmission.Perhaps more note-worthy than the performance is the Ferrari’s handling which feels like it’s in tune with the drivers every whim, responding to control inputs with lightning speed. 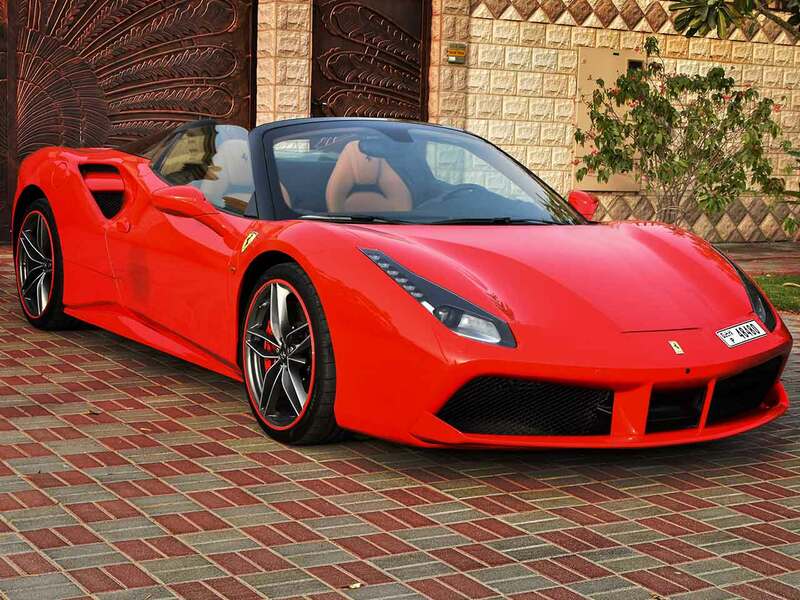 This vehicle is a beautiful matte red addition to the Rotana Star exotic Cars Fleet collection of latest luxury and exotic vehicles and is an absolute must drive to any car enthusiast looking for a car that not only looks good, but also gives them an amazing rush of adrenaline as the vehicle screams up to 62 mph at 3.4 mph. 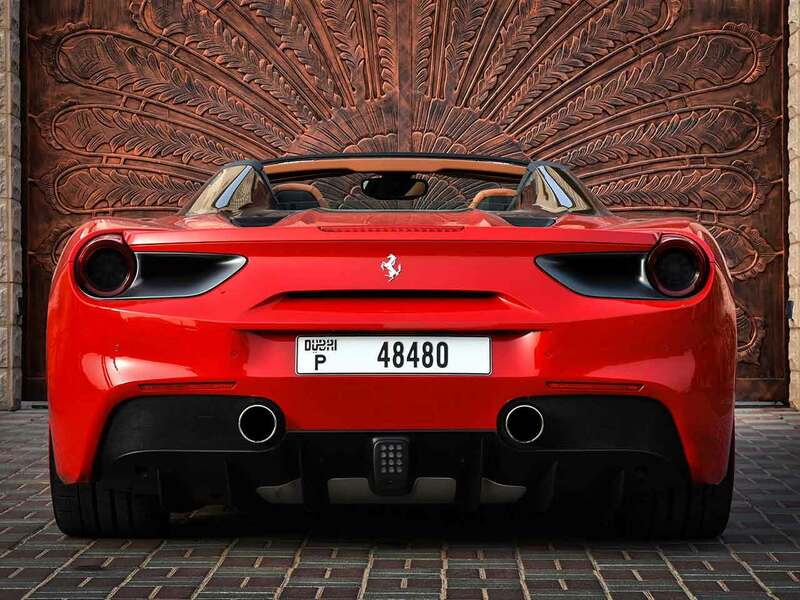 mph club offers many different models of exotic cars and the Ferrari 458 Spider tops the chart as one of the most enjoyable Dubai convertibles out there to date. The dream is beyond words. The experience is perfect. 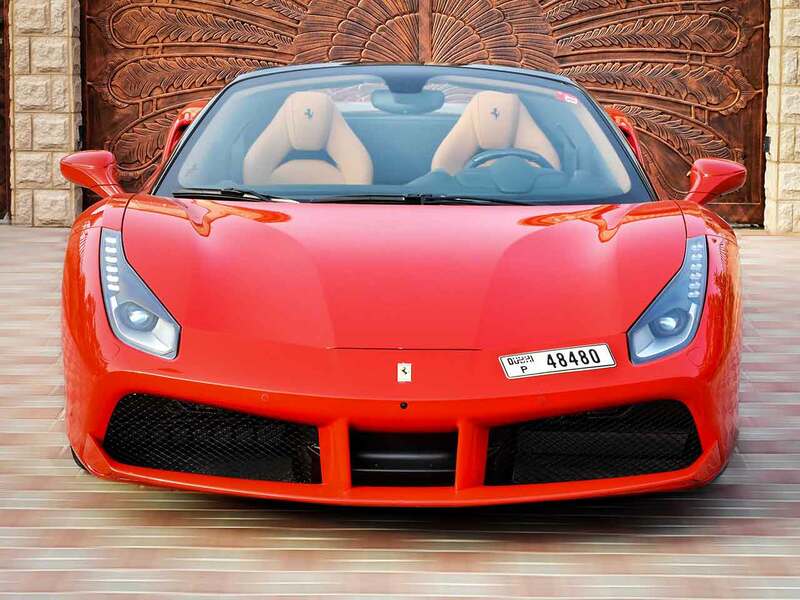 For Ferrari 458 Spider rental in Dubai, we strive to provide the best service in the area. At Rotana Star , we have many years of experience in the hire car field. As a result, we can bring value for money and top-notch service – guaranteed. A key reason for this is because we own our entire fleet of vehicles. This means we have more flexibility on price, unlike our competitors, who often lease their cars on a long-term basis. 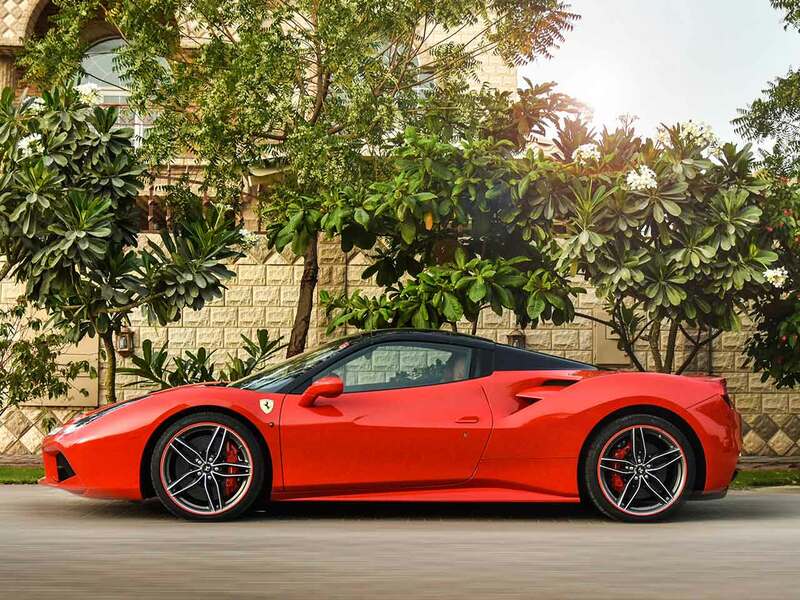 At Rotana Star, we make the process to hire a Ferrari 458 Spider for rent easy. The first step is the browse our website to find a suitable price. After this, contact us by sending in a request via our online form or by telephone. We aim to get back in touch soon after to finalize the deal. When the time comes to deliver the car, we offer two options: either pick-up the car from our Dubai showroom or take advantage of our popular door-to-door delivery service. 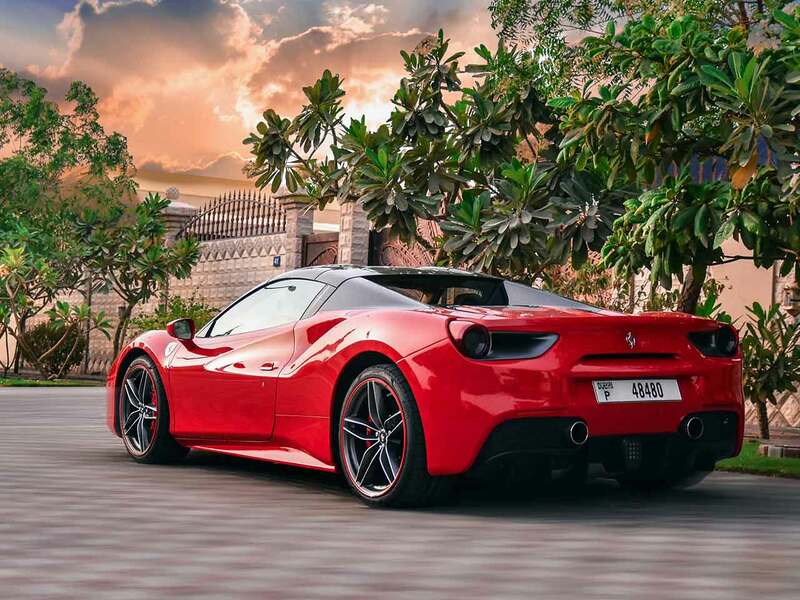 Our premium car rental services allow you the chance to rent a Ferrari 458 Spider in Dubai or other luxury brand cars at affordable rates. Book online or over the phone and collect your rent a car or get it delivered in Dubai.